Couples Want to be featured in the Washington Post ? My friend Nancy Trejos wrote a article lst Sunday - that was really great about her journey to Columbia - See post below. She is looking for couples in the DC area to talk about personal finances (she is the personal finance reporter)Interested please contact me. February but interviews must be done this week. Please email me for contact info. DC/MD/VA metro area couples only please. Update; The venue is now changed. details are posted here. I know we have a share of activities in the DC metro area. I am comfortable with having meetups in the same place but another part of me says that we should move atleast one meetup around to experience places. 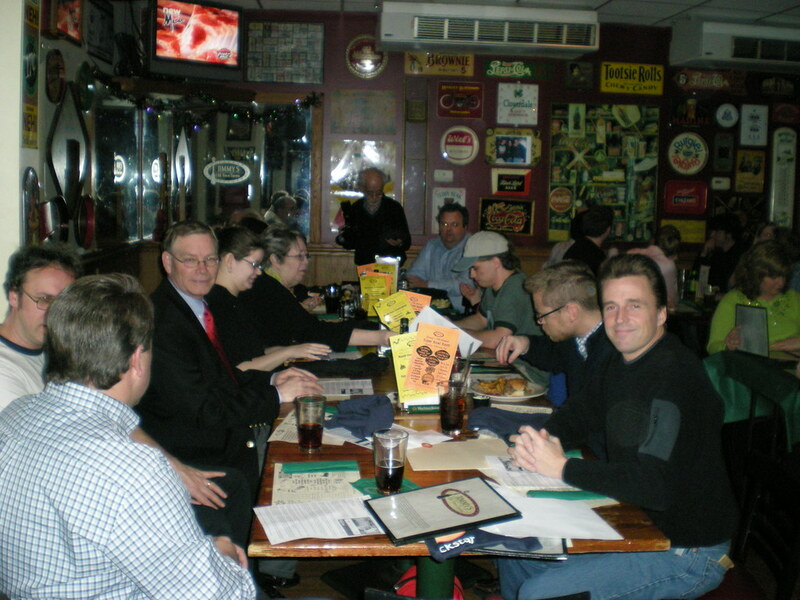 The meetup we had at Jimmy's Tavern in Herndon this month is a good example. About 20- 25 people came and we all had fun. The first criteria I had for a place is that it should be walkable distance from a Metro Station. I tried the Rockville library for a meeting but I am told that we can only reserve a meeting room if are a non-profit. I am not sure if I have the patience to register a non-profit and manage it yet. Then I approached Ken Skidmore General Manager - La Tasca Rockville to see if they have a private room . They have an area of the restaurant that is semi-private and might be suitable for our meeting. It can accommodate a group of 25 and I have made a reservation there. There are two Free parking garages right in front of the restaurant square. I am excited that Tammy Munson is coming. She is organizing the Podcamp DC and needs all our support. And Susan Reynolds who motivated the Frozen Pea movement for raising funds for Cancer Research. Please comment if you can attend and I will update the blog. If there are more than 25 - I can ask the restaurant to accomodate or look for a alternative. Hope to see you all there ! Jill Foster is a superb person. I met her on Twitter and then at other Tweet-ups. DC Media Makers, Social Media Club DC. She is associated with DC web Women. Time: "7 pm should be fine to settle in, beer-up for polls by 8"
This is the first US presidential election that I am voting in and I am looking forward to join and watch the action at this tweet-up. Please take a few minutes, click on the Donate button at FrozenPeasFund.com and donate the price of a couple of bags of frozen peas to the American Cancer Society. That can, and will, make a difference in breast cancer research. I picked up my daughter after she finished her stint as a Volunteer for the Montgomery County Teen court. after listening to a few bits of information ( she firmly told me she cannot discuss any specifics) about how the process worked I summarized that it was a great way for Teens to learn the working of the justice system . The Teen Court system offers a second chance to teenage offenders without the high cost of a criminal record.The program for first-time teenage offenders started by the Montgomery County Attorney's office has been in place for the last 10 years. Teen Court is a justice program run by teens for teens. Juveniles aged 12 through 17 who have committed a nonviolent minor crime appear before a jury of their peers. Cases hear in Teen Court involve crimes such as shoplifting, disorderly conduct, destruction of property and possession of alcohol. The offender must admit guilt since this is a disposition hearing to determine consequences. Volunteer teens perform the roles of the prosecuting and defense attorneys, bailiff, clerk, and jury. The judge is the only adult directly involved in the court proceedings. Cases are referred to Teen Court by the Montgomery County Police Department and the State of Maryland Department of Juvenile Justice. The case is presented to the teen jury for determining consequences for the offender. After careful consideration of the facts, the jury decides upon a constructive sentence which will include a minimum number of community service hours as well as service on other teen juries. Also, there might be educational programs, essays, and/or apology letters. There is a graduated set of guidelines designed for various offense levels. The offender will be allowed up to sixty days to complete the program. When this is accomplished, the charges will be dismissed. Any person with a child needs to ChipIn for this. All children should have access to basic education, and kids with Autism are no different.My friend Whitney Hoffman saw the story in the Wall Street Journal and decided to do something about it. Not only did she start a fuind raising camapign but she contacted her friend who works for the US Embassy in China to make sure this was Ok. Three cheers for Whitney who runs a website http://www.ldpodcast.com for parents with kids who have learning disabilities.Even though times are hard it is always good to think about people who need help. There is a great movement to practice "green" living now. This I not new, if I remember my upbringing from India my Mom had always believed in conservation. Here are the points that I remember which are mostly common sense. Paper : If a paper had a blank side then it had to be used - cut into notepad size or used for notes. After this every piece of paper was sold to recycling vendors. I think there is no problem to implement this and in a way my daughter does that with all her rough sheets she uses for school. Plastic: All plastic bags were collected and sold to the roving recycling vendors who exchanged the plastic for small household goods. The Montgomery county recycling program takes care of a lot of this. I am not sure why they do not take plastic shopping bags. Water : Wasting water was a crime in our household. If we opened a faucet/tap the water had to be collected in a container and used. While shaving , no running water- use hot water in a mug. Showers were a luxury and to conserve water you had to fill water in a bucket and have a bath. While filling water we had to make sure no water overflowed the container and fell down. I can understand this because I remember the days in my early childhood that I had to wake up at 4 a.m to place a empty container in the line for the drinking water in a Madras ( now Chennai) suburbs. I am not sure I am implementing this to the letter but will make a conscious effort. Clothes: Wear the clothes till they tore or faded. Once they were not fit to use they became kitchen dusters or waste cleaning clothes. After I moved to the US the clothes never tear. I am still using shirts that I purchased 6 to 8 years ago. I know the companies decide together to change the shade of colors every year so that if you wear last years blue you are instantly outed. I can never force myself to throw away good clothes. Sometimes good ones do find their way to a charitable cause. Power : All devices should be unplugged after use. All room lights to be switched off when there no one was in the room. This has been difficult to implement and almost all devices stay switched off but still plugged in. I have to start looking at ways to make this better. Like I said these are mostly common sense. The one device I wish someone would invent is a way to get hot water as soon as you turn the tap on instead of having to let some water flow till it gets hot. I learnt a lot from my mother an I hope I can impart this to my kids. Update: Jan 22nd 2008 : Somethings that I remembered after posting. 6. Food : Always take how much you can eat. The advice was almost like " Eat to live and not live to eat". Our platyes had to be completely clean while eating. During my childhood I used to hate Bitter Gourd ( Wikipedia calles it Bitter melon) but neverthless ate it and I like it now. 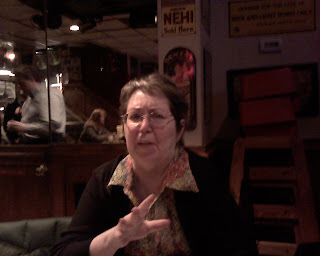 Beth Kanter is an expert on the use of Social Media for non-profits. her latest project is - The America's Giving Challenge that will award $50,000 to the project that gets the most unique donors. The minimum donation to be counted as a unique donor is $10. She is asking for help in meeting this goal and its a very god cause - Simply to remove poverty by educating the children. Just today Emily Wax wrote an article in the Washington post talking about Literacy and the effect on the caste system. Not toally connected but proves a point that education is important. A post on your blog and donations from your readers even one will help this cause. What this achieves will go a long way in promoting children's literacy in Cambodia.I know this first hand because a relative of mine teaches in Cambodia. One of the The Sharing Foundation’s programs is its Khmer literacy school. It helps farm children learn their native alphabet and numbers well enough to attend elementary school. The Sharing Foundation's English Language Program offers village students, ages 8-18, the opportunity to learn English, allowing them to obtain jobs in tourism and word processing. Beth kanter's post on this project. I don't go to book stores much and that's mostly because I realize the economics of ordering online save me money. That does not mean I don't like book stores. I love the fact that they have cozy seats and a in-store coffee-shops. Everyone in my family loves book stores and once inside we choose our sections and settle down. Harry Potter book release nights have been memorable. of course there has never been a time when we didn't leave without buying anything. Section - noteworthy hard covers. I have the book but I was thrilled to see it there. In the new books section I saw one that caught my interest and that's the book that I flipped through at the in store Seattle's Best coffee shop. Sudhir Venkatesh's "Gang Leader for a Day " . Sudhir is a professor at the Columbia University and early in his career went to survey people in the not so safe areas of Chicago. I plan to get the book from the library and read it. The other book that interested me was a Book on StarBucks called 'its not about the Coffee" . StarBucks and its own language has been a topic of interest and I have a blog post about " What do you order at StarBucks". I bought the New York Times World Almanac 2008 - Since childhood I loved trivia and this almanac is a great book for facts. I hope my daughter reads it too. I will soon hopefully be tweeting the pearls of knowledge that I learn from this book. During this visit I also realized that it is easier to take pictures than take notes. I recently discovered a way to make the photos into a PDF - the free Qipit.com website that converts photos to PDF. 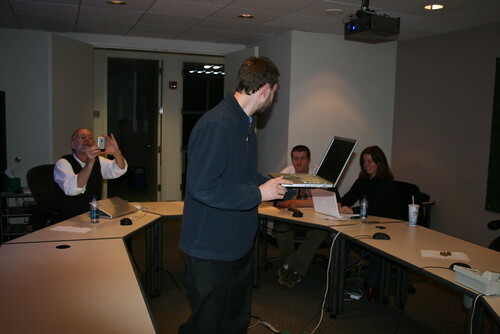 Using Qipit you could take pictures of whiteboard notes and convert them to pdf docs and send it to the team. Here are the two pictures of the book "Three Cups of Rice" And then I wanted to blog about the sentence in the back cover. I used Qipit to make the back over into a PDF. Here is a link to the document. The sentence I wanted to highlight is "We drink 3 cups of tea to do business, The first you are a stranger, the second you become a friend, and the third you join our family and for our family we are prepared to do anything- even die" -Village Chief in the Karakoram Mountains in Pakistan. i could very well translate that and substitute the tea for beer for the social media and the last sentence would end with " We are prepared to do anything even blog and give you a link" LOL. On the whole it was a nice trip to Borders. I also picked up Thank you Power - Deborah Norwell which is a very interesting book. I hope book stores will find a way to stay in business and provide some relief from the other wise hyper connected world. DC Media Makers-2, originally uploaded by shashiBellamkonda. Check out Nahum’s fantastic bio. Please RSVP per below details as space is limited. Seating is limited. You MUST RSVP in advance to jillmfoster@gmail.com. Please email Jill to clarify if space is still available. THANKS. It is always interesting to meet new people. I met with Jimmy Gardner at Shady Grove and we took the Metro to DC. It gave a good 30 - 40 minutes to talk. Jimmy is a great guy and he is looking to launch his startup soon. We met on Twitter and then met subsequently in meet ups and have become good friends. Nahum took some great pictures. It was great to meet Technosailor- Aaron Brazell who recommended a great beer ( see picture above) . Greg Gershman Is going to be announcing some good news in a few weeks I think which will be awesome. We spent a lot of time talking about his projects and I am planning to invite him to speak at a "learning Lunch at Network Solutions in Feb. As far as I know he built one of the first blog search engines. I think compared to the 6 to 7 people who came to the Dec meet atleast 20 people showed up here. Nikolas the organizer took the bus and metro to be here. The last meeting he came all the way but could not get in since he did not have his id with him. he is a nice guy studying hard at UMD. Jade and Cherle chatted about the elections. This is going to be the first time that I am voting. I met Jamy for the first time but did not get a chance to talk much. maybe next time. Joe had his new cards which looked very cool. has a blog post about his cards . It is always nice to meet new people. More people should come to this meet. The restaurant asked that we book a table in advance so we should do that the next meet. As usual RFD has great beer and I ate a fish sandwich which I enjoyed. Are you one of those who is particular about the cube you sit in. I am not. For my new gig I gave up a fabulous good window to move to another particularly good cube but without a window. I always believe with every new job move even within the company you need to change your neighborhood at least to get a new perspective. Getting to the point I discovered that Diana Chau in the neighboring cube is an actress! Along with her new celebrity status as a Neighbor of Shashib at work , she has acted in Joseph and the Amazing Technicolor Dreamcoat, with The Arlington Players. See rave reviews here . Her next performance is in Red Hot & Cole - a biographical look into Cole Porter’s life using his music enacted by the McLean Community Players . McLean Community Players have a great review in the Washington post http://www.washingtonpost.com/wp-dyn/content/article/2007/05/09/AR2007050901022.html . The play opens on Friday, January 18th and runs until Saturday, February 2nd at the Alden Theater in McLean Community Center. She is excited about this show because of the sheer talent in the cast and crew of the show. Fortune has a great story on Melinda Gates. While people keep giving Microsoft a bad rap , they will definitely be moved by the Melinda Gate's story. Both Bill and Melinda plan to give away 95% of their wealth to charity. They will follow Warren Buffet's principles "A very rich person should leave his kids enough to do anything, but not enough to do nothing." Among the foundations efforts are reforms to the American School System :- " New York City, though, shows what Gates money can do. At 43 new small high schools funded by the Gates Foundation, graduation rates are 73%, compared with 35% for the schools they replaced. The Gateses' partner here happens to be Joel Klein, who led the government's antitrust case against Microsoft a decade ago and now runs New York City's public schools." How do they live:- " \... booting all hired help on weekends except for the security people and a sitter who arrives late in the day in case she and Bill want to exercise or go to dinner or a movie. Wednesday night is family swimming night. Friday night is family movie night. The most successful joint venture is the GAVI Alliance, formerly called the Global Alliance for Vaccines and Immunization. GAVI has distributed vaccines (including tetanus, hepatitis B, and yellow fever) to 138 million children in 70 of the world's poorest countries. Thanks largely to this alliance, immunization rates are at all-time highs in the developing world, and more than two million premature deaths have been prevented. Millions of Indians now will realize their owning a car. The car that costs 1 lakh Rupees about $2500 may dash the hopes of top Automakers hoping to capitalize the Indian Small car market but will definitely create chaos on the already crowded Indian City roads. The key point is Tata has delivered what Ratan Tata promised. In the Outlook section of today's Washington Post Mira Kamdar writes that " the car doesn't meet U.S. safety standards " so sorry folks you can't buy it. "If millions of Indians and Chinese get to have their own cars, the planet is doomed. Suddenly, the cute little Nano starts to look a lot less winning." "Even at $2,500, the people's car costs 10 times more than the annual income of most Indians. At this point, there is only one car for approximately every 1,000 Indians. In the United States, the ratio is three cars for every four people." She also quotes a college student in India" "Just when we can finally start to enjoy the things you people have had for decades -- cars, air conditioners -- you tell us, 'Sorry, too late, you can't now.' I mean, you created this mess. You won't reduce your consumption, but you tell us we can't increase ours." Mira Kamdar is a Bernard Schwartz Fellow at the Asia Society and the author of "Planet India: The Turbulent Rise of the Largest Democracy and the Future of Our World." Even before this outlook piece I saw this article In the Washington Post - GAVIN RABINOWITZ of AP. "Tata Nano will lead to possibly millions more cars hitting already clogged Indian roads, adding to mounting air and noise pollution problems. Others have said Tata will have to sacrifice quality and safety standards to meet the target price. Chief U.N. climate scientist Rajendra Pachauri, who shared last year's Nobel Peace Prize, said last month that "I am having nightmares" about the prospect of the low-cost car. " Introducing the car at an auto show in New Delhi, Tata said the Nano had passed domestic and European emission standards and would average about 50 miles per gallon. "Dr. Pachauri need not have nightmares," said Tata, the chairman. If its any consolation Tata is the company that is buying the Jaguar and Land Rover brands from Ford writes Tom Krisher in the Washington Post . Indian automaker Mahindra & Mahindra Ltd. and U.S. private equity firm One Equity Partners LLC, still were in the running. So an Indian Company will possibly own the cheapest car and a top premium car brand. Fortune reports Hasbro, manufacturer of Scrabble, tries to shut down Scrabulous, an electronic version of the game gaining enormous success on Facebook. Not sure who is right or wrong but I love scrabulous and hope there is a way for this to end amicably and Fb users can continue to play. of course i wish we had gone to this museum in Tuscon Arizona. I took this video when I visited India in July this year. In remote locations there are still "level crossings" ( local term for railway crossing) and you have to wait for the train to pass. Is This Maryland Power Company Committing Mail Fraud? "Over the last month or so our local MD power company, Allegheny Power has sent us 2 small boxes containing 4 of the CFL light bulbs and a small brochure on the benefits of using this new type of lighting. I thought wow what a great idea that is of them to do that. It impressed me they would go to that distance to educate us consumers. STOP. not so fast." The company seems to have sent unsolicited Energy Saving bulbs and will be charging for them over the next few months. Most people think USPS delivers it so you don't know your options. My friend @chazFrench http://charlesfrench.com/ alerted me that "postal law is clear you do not have to pay for unsolicited merchandise." If you have not opened the package, you may mark it "Return to Sender," and the Postal Service will return it with no additional postage charged to you. If you open the package and don't like what you find, you may throw it away. If you open the package and like what you find, you may keep it for free. In this instance, "finders-keepers" applies unconditionally. Just like Jimmy many people may not even see their bills as they usually would have direct payment. I would strongly advice people to check thier bills, bank statements and Credit card ststements throroughly. ( i do it every month). Update : Jim Gardner posted a update on his Blog " East Coast Blogging" that Allegheny Power has come out and resolved the issue. Allegheny Power took full responsibility today for inadequately notifying customers they would be charged for two lightbulbs sent through the mail as part of the program. “Allegheny Power accepts full responsibility for the customer confusion and delivery issues,” Allegheny President David Flitman wrote in response to a letter from members of the Western Maryland delegation of the General Assembly. Allegheny sent 220,000 customers two energy-efficient bulbs, billing $11.52 for them in 12 monthly payments of 96 cents. The move prompted outrage and complaints to the state’s utilities agency, the Maryland Public Service Commission and the power company that the charges were not clearly explained. Joelogon also wrote about it. Just finished watching 'Waitress". The movie does leave you feeling good and the ending is positive. I always liked "rags to riches" stories. Not having been in to many small towns in the US I am curious about the depiction of the small town life in the movie ? Going and eating regularly in the same diner ? A diner that seems staffed just by 4 people? I did see a similar movie a few months ago that dealt with food or more precisely -spices- and their effect on life. The movie is " Mistress of Spices" . Of course this movie is entirely a fairy tale and will interest people who like movies with some Asian culture( In this case from India). Both movies will interest anyone who has time. I would rate Waitress and " Mistress of Spices" as a B. If you are curious about the beautiful actress Aishwariya Rai nee Bachan then you should see the Mistress of spices. The director is Gurinder chadha who also made "Bend it like Beckham"
Now I am confused again - Dang Amenglish - What's a Caucus and What's a primary? I am also using this Blog to learn and make sure others confused like me will benefit. So asked is question on Twitter - What is a Caucus and what is a primary.? Here are some great responses. Thanks. MichBel :It's basically the same thing. The difference is in the rules, how they do it. Caucuses are people talking, primaries are voting. @nahumg Primary- an election. Caucus-people decide 2 participate & register & self select in their precinct. I attended the December meetup Joe's post on the meetup has the detailsDumb Things I Have Done Lately: DC Blogger Meetup Runs Smack Into the DC Holiday Cop Surge. The next one is on January 16th at RFD. This meetup is organized by the group through meetup.com . In the last meeting I had fun. RFD has a great selection of beer. The folks who attended were jolly and it was nice to meet new people. John Croston is a great guy. Ross Karchner used to work close to Network Solutions in Herndon and is now selling books on Ebay hopefully to fund the dinner at RFD :) for all of us. Andy Roth got some great camera equipment and we had a long conversation as we rode the metro back to Shady Grove. (He saw me take this picture) I hope Jim Gardner makes it to the next one then we can have 2 great photographers. I hope GeoSteph and Fireton make it too as they are great people to hang with and of course hope the other DC bloggers show up. I have been following NicoleSpag on Twitter and added Nicole's blog to my reading list. I must use this post to thank her husband Marc of TheWoodWhisperer.com for his advice when I asked him to help me with my daughter's project for school. If you are fans of French Toast then you just watch this video show. I tried it at home and the Crunchy French Toast was a instant hit. I am glad Social Media helped me gain brownie points with my family ! My only regret is that Nicole and Marc do not have time to do more of these videos? I must confess I do not wear a ring. It's not because I want to hide the fact that I am married :). More because a)Terrified of losing the ring b)Back In India it did not seem like a tradition like it is here. So I was surprised to see a new "social network" Singelringen. The membership to Singelringen Global Community comes through the purchase of the Singelringen. it seems like a cool concept the ring being unique it is easy to recognize the member. In my quest to find out more after reading about it on LeahJone's Blog( leahJones on Twitter).I connected with LindaSherman who is Singelringen agent for North America,http://www.us.singelringen.com/. and still consider it one of the best cities I have visited. They are innovative - Ericksson , Saab, Volvo were Swedish companies. I have to ask a few of my single friends about their interest in this concept but then they may have already heard of this. I asked Linda Sherman which ring is it usually worn and she said " Singelringen is worn on any finger on the right hand or on a neck chain or cord. There is no significance to where it is worn. The important thing is that the ring is unisex and always the same color so that it can be easily spotted." Singelringen ("The Single Ring" in Swedish) is a unisex ring that serves to remind the single wearer that they are already complete; while open to possibilities. The ring features a turquoise acrylic layer shining over a sterling silver band engraved with "made in Sweden" and a unique registration number that provides access to the Singelringen Global Community. First introduced in Scandinavia in 2005, Singelringen is now worn by more than 150,000 singles in over 20 countries around the world. The ring has been spotted on LA celebrities including Terrence Howard, Madeline Zima, Mario Lopez, Haley Bennett and Corbin Bleu. Singelringen retails for $59. In 2008 of course I need to exercise more ( The doctor was very emphatic). That starts from tomorrow. Being a participant in the Social Media also means the gurus will share their resolutions and you can pick the best of them to follow. I am trying to make it easier for myself and any one else who want to sit back and let the wise predict and resolve. John Batelle : Scobelizer recommends John Batelle's predictions as being usually being quite near the mark. Becky McCray; Predictions for 2008 - Many opportunities you must be prepared to seize! Learn, prepare, save, plan. Above all, enjoy, love, laugh! 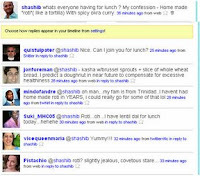 HawaiiSEO: I Predict for 2008 - Google will add a URL shortening application to the Toolbar. Please add any other you know or your own to the comments. Thanks.